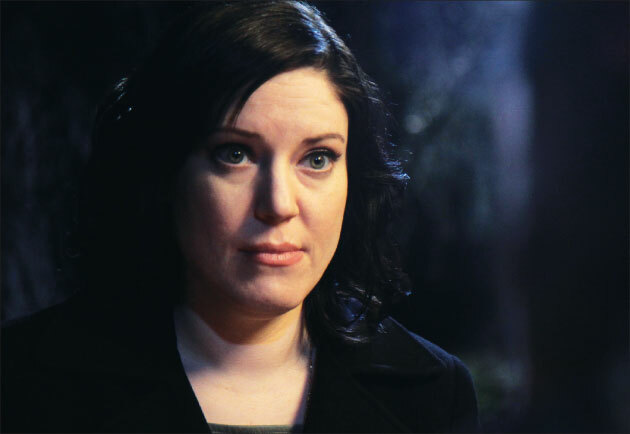 Today’s interview is with Amy Allan from the TV show The Dead Files. The Dead Files is an investigative TV show dealing with the paranormal. Amy’s partner, Steve Di Schiavi is a retired New York City homicide detective. Steve does the research into the background of the people and property of the haunted location. Amy Allan talks directly to the spirits and entities to get the details. After Steve and Amy complete their investigations they meet with the client and reveal their results to the client and each other. Amy Allan’s psychic abilities are astounding! That is why both believers and nonbelievers tune in to The Dead Files week after week. Let’s get to know more about Amy Allan from Amy herself. Abby: Can we start with your background? Abby: Where were you born? Abby: Did you grow up there? Amy: I lived there until I was between 12 and 14. Then I moved to Long Island, New York. Abby: How would you describe your childhood? Amy: I don’t know. Filled with imaginary friends? Some good. Some not so good. Ya. Abby: What was your school experience like? I mean were you bullied or shunned for your abilities at a young age? Amy: Oh ya. I think that everybody thought that I was odd in elementary school. I think that sensitives, even though we don’t yet know what’s going on, we kind of find each other. We gravitate towards each other. So I always had one or two really close friends. I was always a little bit of an oddball. It got worse in Junior High. That was really when I was messing around and things would happen. People were scared. That was difficult. Abby: Did you have anyone that you could talk to about it? Abby: How was high school and college? Amy: That was a very trying time. I moved to New York right after 7th grade. I was not particularly happy so I kind of rebelled and went crazy. I was definitely experimenting with my abilities then and was having a really rough go of it. I was angry, very angry. That was a really rough time for me. Abby: When did it start getting better? Amy: When I was about 18 things started to get a little bit better. I went to college and met some really cool people. I started to deal with my situation as far as personally and my abilities. Abby: I read that you’re a psychologist and a bodyworker. What is a bodyworker? Amy: I initially went to school for acupuncture and oriental medicine. Through that I went into Shiatsu. I studied that for a while and completed the training. Then I went for Western massage and Tioga massage. Abby: I read that you also worked with at-risk teenagers in foster homes or in shelters. Amy: I did that mainstream psychology right after I got my degrees. I was working with at-risk teens because I had been an at-risk teen, so I wanted to help. Abby: Did you find any at-risk teens that had psychic abilities? Amy: Yes, but I couldn’t really talk about that. Abby: I’m really going to jump subjects here. What made you move to Yugoslavia? Amy: I was dating somebody and we ended up moving over there while the war was going on. That was a great experience, helping with the refugee effort and also getting to travel. Abby: Did you work with an organization? Amy: No. No. We were independent. We helped with food and things like that. Some of the buildings are lifted so we would just make little areas for people under the buildings. I was in Belgrade in Serbia. It was bad! So we were just helping as much as we could. Abby: So what is an average day in the life of Amy Allan like? Amy: Pretty boring I think. It just depends if I’m on the road or a day off. Abby: Okay. If you’re on a day off. Abby: Do you remember what those are like? Abby: You need your own GPS tracking system! Amy: Seriously I do. Ya. Abby: By the way, that didn’t sound boring! Are you open to answering abilities questions? Abby: Okay. I read that your abilities were studied and tested by parapsychologists. What were their findings? Amy: There is something going on, but it’s not something that they can explain. At this point, within the science, there is only so much that can be tested for. It’s a new science. With the limited tests that they have, I’m testing above average. Amy: It’s like with the methodology of investigation that I utilize. You have to control as many factors and variables as possible in the field. Having that double-blind or single-blind situation in the field where for instance, it’s a simple idea, I don’t know where I’m going. We put it to Steve to confirm or not. So ya I did work with several different parapsychologists and underwent many different tests. And yes, there is something going on with me that they can’t explain. I’m receiving information not necessarily through the known five senses. Abby: Who did the testing? 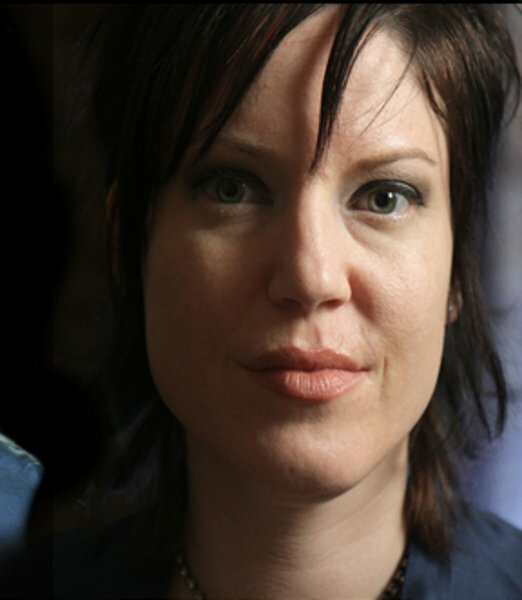 Amy: Dr. William Roll, Dr. Gary Schwartz and William Everett. Abby: You’ve been referred to as a physical medium. What is a physical medium? Amy: A physical medium is someone who physically encounters the information they’re perceiving. So basically I see and hear the dead just like I see and hear living people. There are differences but that’s the simplest way to put it. Abby: Do you also use psychometry? Amy: I do have psychometry too. Psychometry is holding an object and receiving information from that object. My dominant ability is physical mediumship. That’s the one I go to. That’s the one I’ve had since I was a child. Abby: I’ve heard that you’ve gotten ill from using your abilities. How are you doing now? Amy: Right now I’m good. The last case I got a little sick because I guess that location had a Spanish flu or something and so I got it. That’s the other part of being a physical medium, you absorb physically the information you are connecting with. So sometimes you do get sick as a result. But I’m doing much better now. Abby: While I was doing research on you I was shocked to learn that you have been sick with heart attacks, cancer and AIDS just from using your abilities. That really got to me. Why would you continue to do it when you know you may get deathly ill? Amy: Sometimes you have no choice. Abby: I understand that feeling but the concerned side of me cringes for your well-being. The illnesses, are they a temporary thing while you are around those spirits? Amy: It will manifest in different ways like severe anemia. I think it was the second season that I was bleeding out and had to have blood transfusions and an emergency hysterectomy. You know it will develop in different ways physiologically. It’s just that the living shouldn’t be working with dead energy all the time. When I can, I bodywork it out. That way I’m working with living energy too so there’s a balance. I stay far healthier when I’m able to have that outlet. With The Dead Files I’m doing this every week so stuff’s going to happen. Abby: Yikes! Since this is a job do you get workers compensation? Do you have any medical coverage because the show knows that this happens to you? Amy: They have graciously taken care of me when I’ve gone through these issues. Abby: I feel for you Amy. Amy: It’s okay. It’s a choice I made, you know? Abby: How does your family feel about you doing the show? Amy: They are very happy, very supportive. It’s something that they have dealt with throughout their lives as well. It’s really helped our communication concerning what my parents have been through with having abilities. And it’s been a very healthy, good thing as far as that’s concerned. Abby: Do your parents possess the same abilities as you? Amy: My father is a physical medium. My mom seems to have more telepathy and more mental mediumship skills. Abby: Telepaths are the ones that scare me. Amy: Ya. I never got away with anything, let me tell you. Having a mother that’s a telepath? Are you kidding me! Abby: Do you know where the spirits go when they are banished from a location? Abby: That’s it? Just yes? 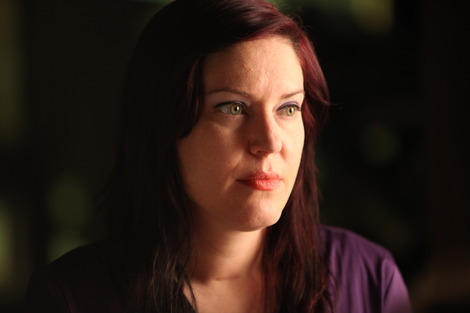 Amy: When I write my book I will explain my perception of what happens when we die. I don’t want to make that a theme of something that I talk about all the time. Everybody has conditioning in their lives. I can tell you what I perceive. Does that mean that you’re going to see and experience it the same way? No. Not necessarily. I don’t want to be a preacher. Abby: I can respect that. Can you see or feel the energy of someone having an out of body experience? Amy: I have, I have! Yes! I have. I thought she was dead too. This was many years ago. She was my roommate and she was at her father’s house. It was the middle of the night, and I was up. All of the sudden she was in my room. And I’m like, “Oh my god!” I’m freaking out because I think she’s dead. I saw her in the same way I see a dead person. I was freaking out and then I called and she was fine. It turned out she was practicing astral projection. Abby: I love that story! Do you know why something so simple as sea salt and sage work to cleanse an evil spirit from a location? Amy: It’s more about the power of the person. All of the methods that I use come from various religions. They have been in use for hundreds, if not thousands, of years. They have assisted people in cleansing or removing deceased individuals and various other entities. So I’m bringing things in that I feel have been successfully used. But I believe that the person holds the key. They’re the power. They’re the force. I feel like they’re putting their energy into an object that I’m giving them. But I believe it’s them. They’re doing the real work with their energy. I think everybody has the ability to resolve the problem. Do I necessarily believe that the salt is the key? I believe it is the intention, that’s the key. Abby: That makes a lot of sense. Is there a special reason why you do your walks at night as opposed to the daytime? Aren’t spirits around during the daytime? Amy: Ya. They like that for TV. I don’t need it to be dark. Abby: I understand you’re an animal lover. Do you have a favorite animal? Amy: I love my cats. I have an affinity for cats, but I really do love all animals. I do. Abby: Do you ever see the spirits of animals that have passed away? Amy: Yes I do. I do. Usually they hang around because they want to be there for their owners. The ones who remain are typically here because of an attachment to a living person that can’t let them go. That is sometimes very sad. Abby: Yes, well you know how hard it is to say goodbye to a pet. Abby: I am finding it difficult to say goodbye to you because you are so fascinating. That is what will keep me watching The Dead Files. I will just watch in amazement at your abilities and Steve’s shocked expressions when you bring forth the same answers he’s uncovered. Thank you Amy and continued success on your show! The Dead Files airs on Saturdays at 10 PM ET/PT on The Travel Channel. I love watching the show ,sorry I missed earlier stories.